We offer modifications that are ideally suited for specific segments and specific applications. These solutions will make the difference for you. A solution where 1 to 3 additional control panels are built-in. The perfect solution for all driving schools. Available for all types of trucks, the dual control allows an instructor to intervene at all times. This improves road safety and makes teaching easier for the driving instructor. The ESTEPE Driving Instruction Display (EDID) is mounted on the passenger side and displays a variety of data in a clear way. The display is designed for various types of trucks and is ideal for the learning proces of the student (especially environmentally conscious driving). The display shows the speed, the number of rotations and the position of the accelerator pedal. In addition to creating extra seats, various options are available for installing additional windows. In certain cabin types, side windows can be fitted at the level of the bed (the second row of seats). 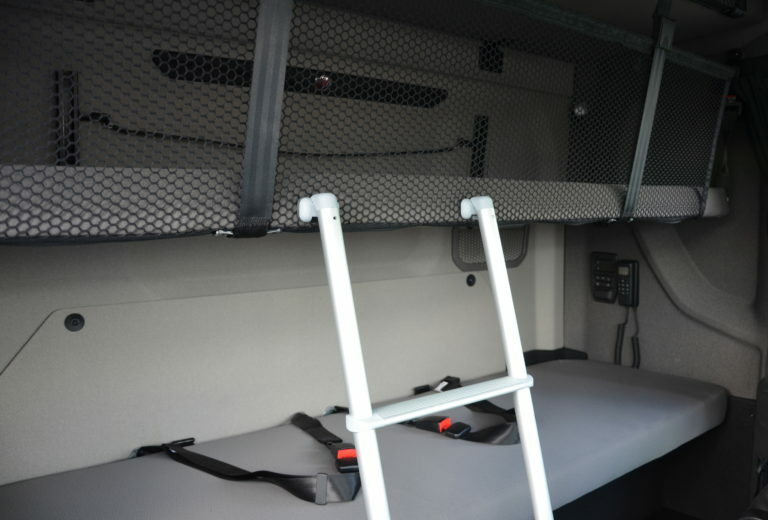 This allows passengers in the back of the cabin to have better visibility of the road and to better assess the traffic situation (also when stepping out of the truck). In addition, window solutions are available for blind spots and the rear. It is possible to cover the cabin floor with a chequer plate or a rubber mat. This is an optional solution in combination with extra seating and makes the cabin easy to clean and wear-resistant. It also offers better grip. Would you like to receive answers to your questions or request product information sheets? Contact us or leave your details, and we will contact you as soon as possible.